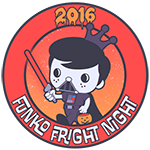 This is a quick post regarding the short history of Funko Plush items, but more specifically, the Star Wars line. As such, it skips a lot of the history of the other lines. If you want to recreate/replicate/cite this post in part or in whole, please contact us prior to proceeding. If you see any inconsistencies, please do let us know so we can correct them. 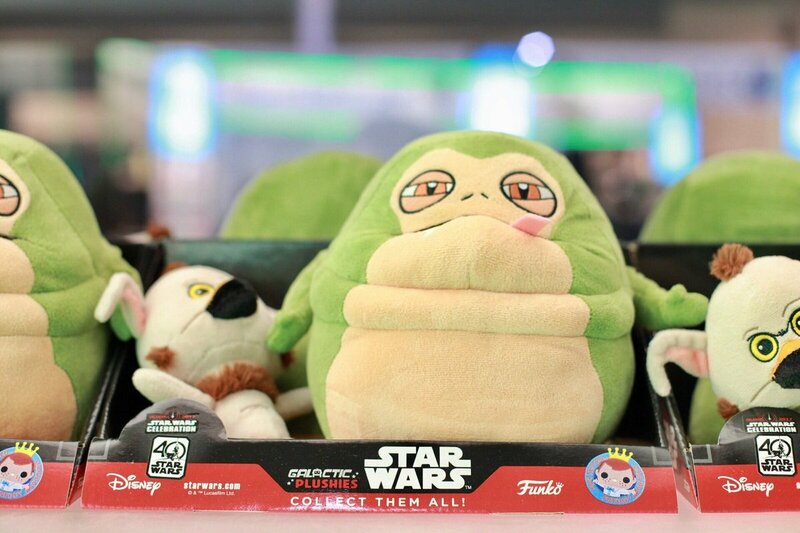 While Funko has been making bobbleheads since 1998, it took until 2010 for Funko to introduce the first set of plush items, albeit none were Star Wars. The 2010 Funko Catalog contained Lord of the Rings, Wizards of OZ, Alice in Wonderland, Rudolph, Rat Fink and other plushies. They also showed off Justice League plushies at Toy Fair. 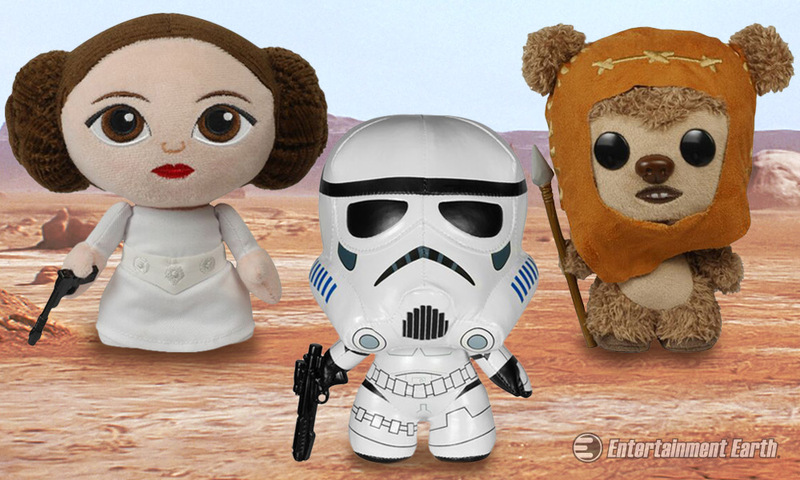 In 2008, Underground Toys acquired "the UK and US rights for Star Wars feature soft toys" and Partnered with Funko in 2013. In January of 2017 Funko acquired Underground Toys. 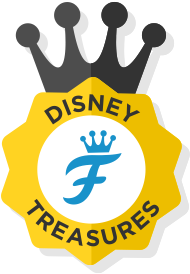 In 2014, Funko expanded it's plush lines by adding Fabrications and showing them off during Toy Fair and their catalog (Brian hinted at those during Fundays in 2013)! These were 6 inch plush items with flat feet so they can stand and rotating heads. 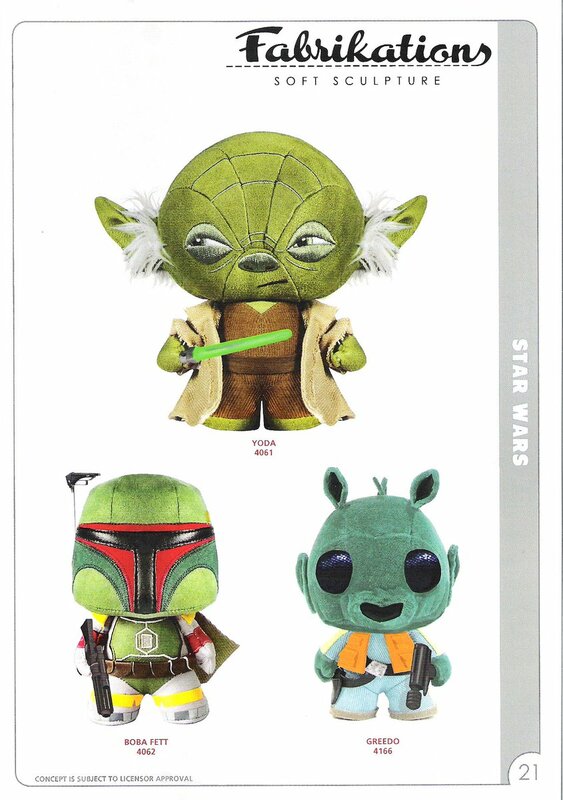 These are also the first Star Wars Plush-type items we see coming from Funko. The original 3 include Yoda, Boba Fett & Greedo. 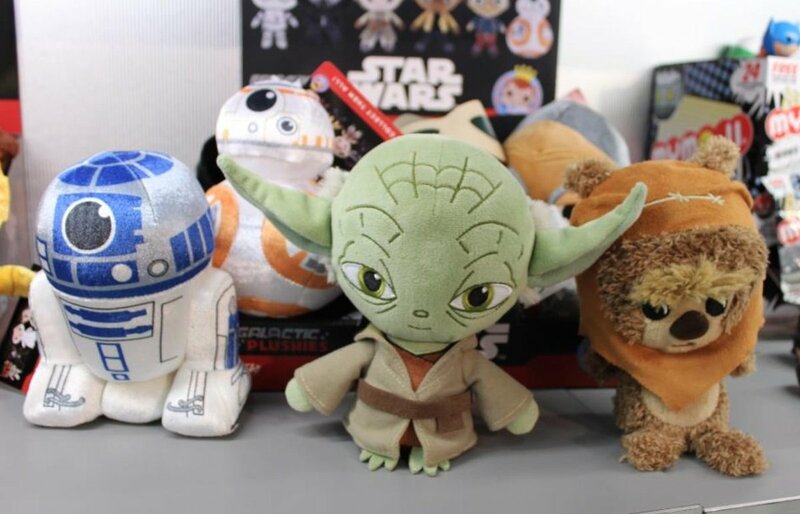 In 2015 the Mopeez line, also referred to by some as emo plush, was introduced but did not include Star Wars items. 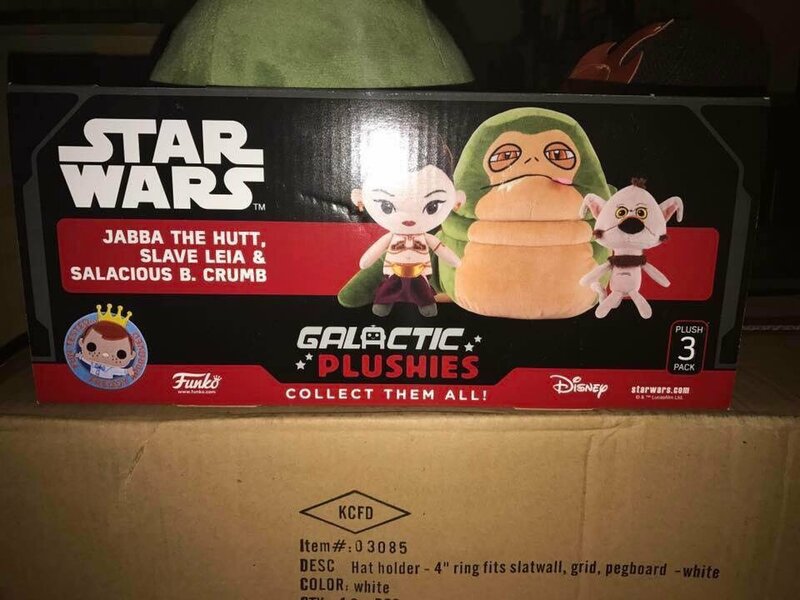 In 2016, Funko introduced a whole new plush line in Smugglers Bounty's Jabba's Palace Box with a Boba Fett POP Plush, a 6inch plushie. They followed this up again with January 2017's Smugglers Bounty's Wampa POP Plush from the Empire Strikes Back box. 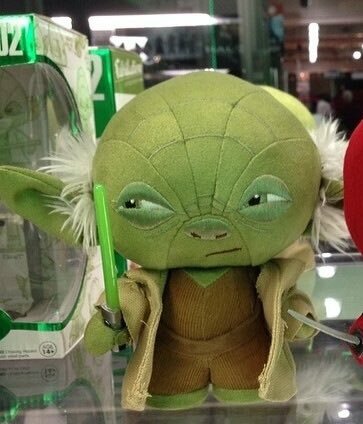 While these went under the radar during Toy Fair 2017, Funko actually showed off Luke, Yoda, Ewok & R2 unannounced Galactic Plushies that will likely be coming sometimes 2017. In May 2017, Funko did indeed revealed this 3rd pack which also includes a stormtrooper! Trivia - Originally, the SWCO 2pack was actually meant to be a 3pack but either due to Funko's own decision or a licensor's request, Slave Leia was never included in the final product. Nevertheless, a lucky individual got one of these received in the mail from Amazon by mistake. 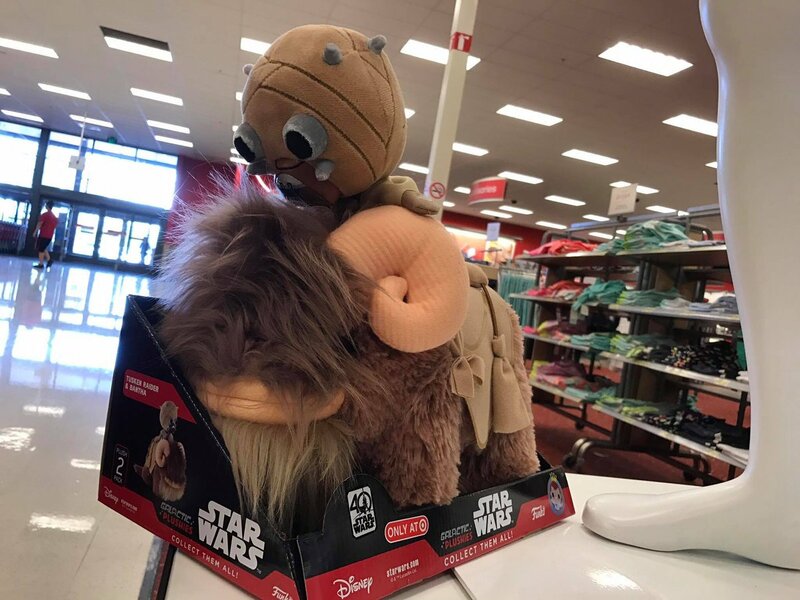 Soon after the Target Exclusive Tusken Raider & Bantha 2pack was revealed alongside Gamestop's Wampa & Hoth Luke 2-pack. In the end of August 2017, The Last Jedi Galactic Plushies we’re revealed, including the fan favorite - porgs. They included Walgreens exclusives such as Supreme Leader Snoke, and Praetorian Guard. Oddly enough, there was also a 12” Plush Chewie that seemed to have come out of nowhere. It was also only available at Walgreens. In early 2018 we also got The Clone Wars ECCC Exclusive Ahsoka Galactic Plushie, shared with Hot Topic & HerUniverse. 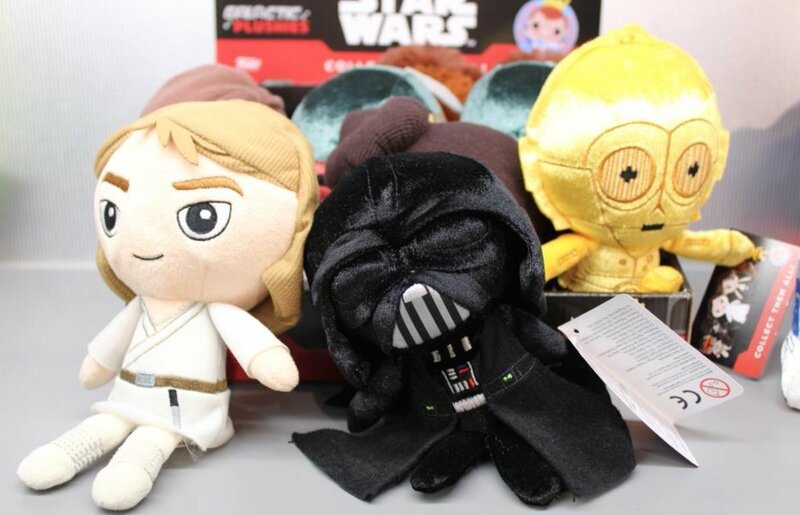 The plush we've been getting in Smugglers Bounty thus far are called POP Plush and the ones in stores are Galactic Plushies. Galactic plushies have a satin/glossy finish, are bigger (8 vs 6 inches) and are generally more detailed (see the belt and other details like the knee pads). In February of 2018, Funko revealed yet another new line - Keychain Mystery Mini Plushies. As the name suggests, they combined 3 of their products in one - their Keychains, Plushies and blind bag Mystery minis concept. When April rolled around, they also introduced Solo versions. 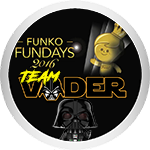 Thank you for reading and May The Funko Be With You! 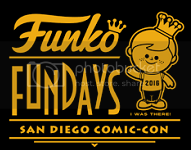 Last edited by maythefunkobewithyou on Fri Jun 15, 2018 6:19 am, edited 21 times in total. Great post! Enjoyed reading through it and now am fighting the urge to grab more Fabrikations! Great history lesson! I have been LOVING the new plush lines! 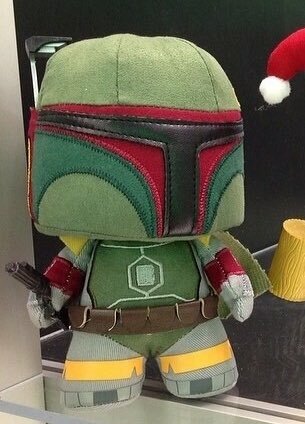 Finally a side by side comparison of the two boba fett plush! Thank you very much! 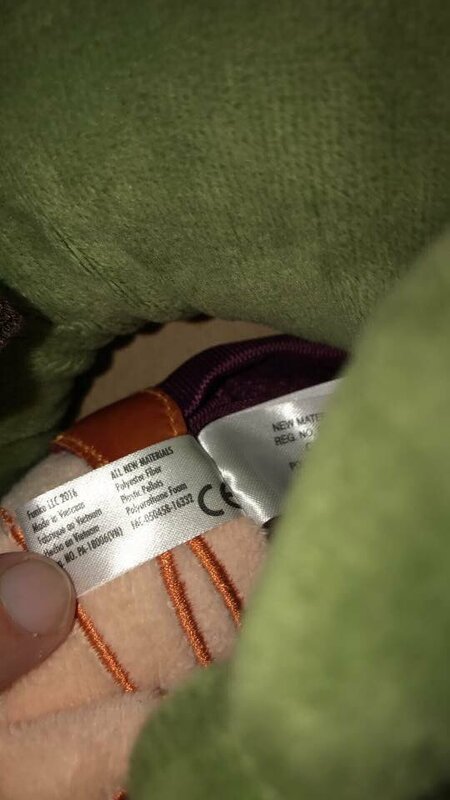 thebeast275 wrote: Finally a side by side comparison of the two boba fett plush! Thank you very much! Glad we could help. 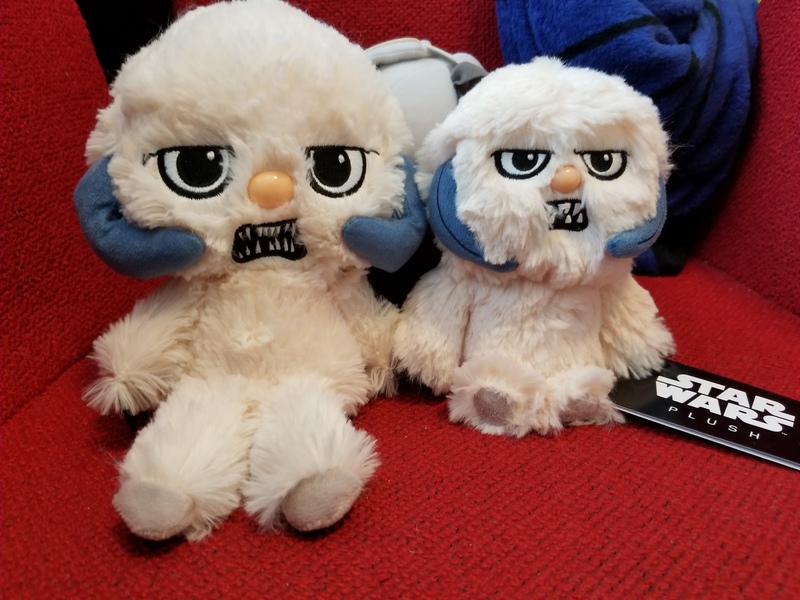 If we ever get the GameStop 2pack, we'll do a comparison of the Wampas, too. great thread! I too am loving these guys! 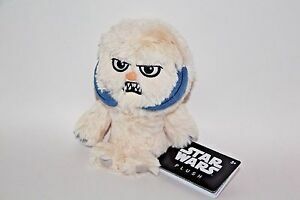 I'm sure the GS wampa will be bigger than the SB wampa just because he looks bigger than the luke plushie...and Luke should be bigger than the SB plush wampa. Their history of plushies is relatively recent, but it brought back memories! We still have the Gandalf and Frodo ones from 2010. I have both, I can take a pic if that's helpful. Thanks for sharing. Love these threads! Tried to PM the pics but found a new way...does this work? Jeez the new one is huge! 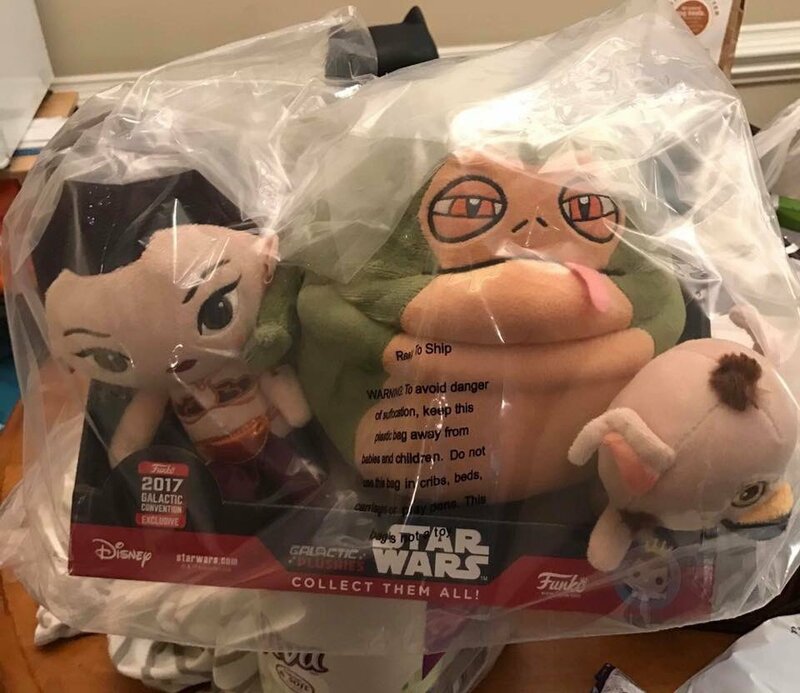 If Jabbas that big I'm twice as disappointed I still don't have him. 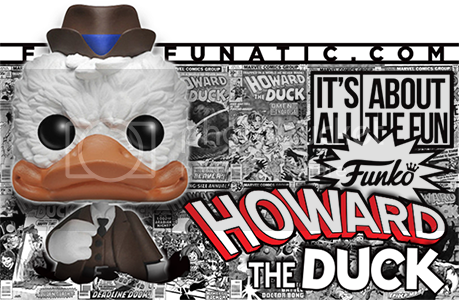 HowardTheDuck wrote: Jeez the new one is huge! If Jabbas that big I'm twice as disappointed I still don't have him. The two pack from Star Wars Celebration is still available on Amazon if you want it. I saw it in person it's SUPER cute! I'm aware and very thankful that its still up. I'm trying to order it maybe next week. Jabba the Hutt and Salacious B. Crumb is so neat! Tynett wrote: Tried to PM the pics but found a new way...does this work? Apologies for the delay but yeah, got it! Thanks! Treblemdk wrote: Jabba the Hutt and Salacious B. Crumb is so neat! YES! I have this two pack, and it's really good. I love that crazy Salacious look! Awesome post. Love all that information. Thank you. The plushies kinda grew on me. At first I was not a fan of them at all, but now I have half the Star Wars ones . 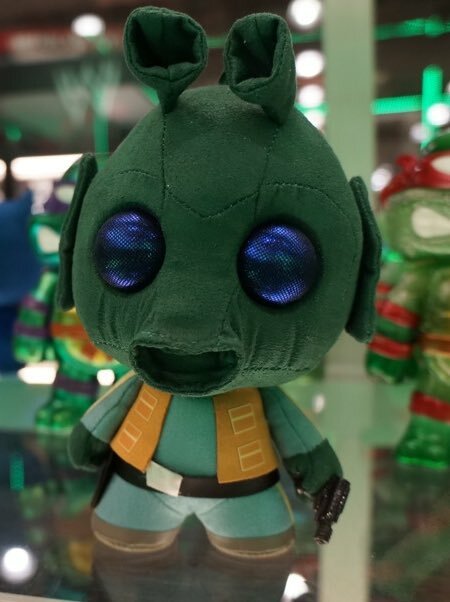 Good to know that there IS a difference between the POP plushies and the Galactic Plushies. Awesome. Love these little history lessons, keep them coming! Glad i came across the link for this in my FB group, especially since I'm still not sure where everything is and works in this forum. 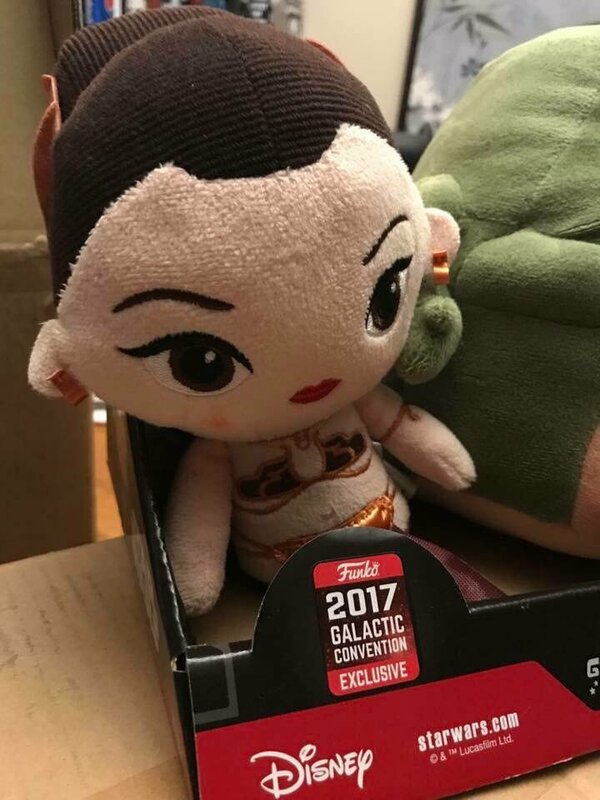 Updated to include trivia about the cancelled SWCO 3pack (now 2 pack). Soloontherocks wrote: Great post! Enjoyed reading through it and now am fighting the urge to grab more Fabrikations! HowardTheDuck wrote: Great history lesson! I have been LOVING the new plush lines! Glad you enjoyed it. We do, too! hikanteki wrote: Their history of plushies is relatively recent, but it brought back memories! We still have the Gandalf and Frodo ones from 2010. Nice! 2010 might seem recent but most Funko collectors have been collecting for less than 2-3 years. The community has grown a lot! willy wonka wrote: Thanks for sharing. Love these threads! Glad you enjoy them and we'll do our best to make more. Cnd pops RN wrote: Awesome post. Love all that information. Thank you. Kydellison wrote: The plushies kinda grew on me. At first I was not a fan of them at all, but now I have half the Star Wars ones . Good to know that there IS a difference between the POP plushies and the Galactic Plushies. They are not for everyone but they are definitely cute! becks77 wrote: Awesome. Love these little history lessons, keep them coming! Glad i came across the link for this in my FB group, especially since I'm still not sure where everything is and works in this forum. Glad you were able to find this and the post helped you out! Great read... BRING BACK LORD OF THE RINGS plush!! Also, if the Slave Leia was made, what happened to them? Were they released?? TRIAD wrote: Great read... BRING BACK LORD OF THE RINGS plush!! A few of them got out and were accidentally sent to customers. Most were pulled back and the Leia was discarded.